China International Aviation & Aerospace Exhibition (namely Airshow China) is the only international aerospace trade show in China that is endorsed by the Chinese central government. It features the display of real-size products, trade talks, technological exchange and flying display. Since 1996, the show has been successfully held in Zhuhai in every even-number year for 11 sessions. It is a gateway for international aviation and aerospace enterprises to showcase the latest technology and products in the fast-growing Chinese market. 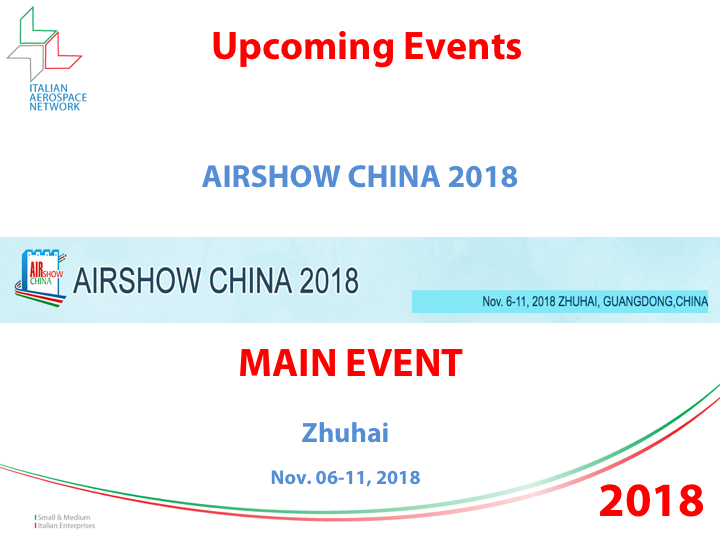 Airshow China 2018 will take place Nov. 6-11, 2018. A warm welcome to participate to the 12nd Airshow China. If you are interested about this event please full fill the following form to get more info about it.